More American visitors, this time Brenda and Doug Walton from California. They're in Paris for a month celebrating their wedding anniversary! Visit Brenda's blog here to read about their travel experiences and see samples of Brenda's work (and take a peek at her glorious studio). You're probably already familiar with Brenda's creations - I didn't know her until she contacted me about my blog. Earlier this week, they went to the secret brocante in Passy, where they were thoroughly entertained by the owner's tales of his eventful life. The Waltons met me this afternoon to visit Agape, then came to our place for tea and conversation - and treats purchased at my favourite local boulangerie, Le Grenier au Pain. When I asked if the Waltons could take photos in the boulangerie, not only did the kind staff members agree, they invited us for a tour of the premises! 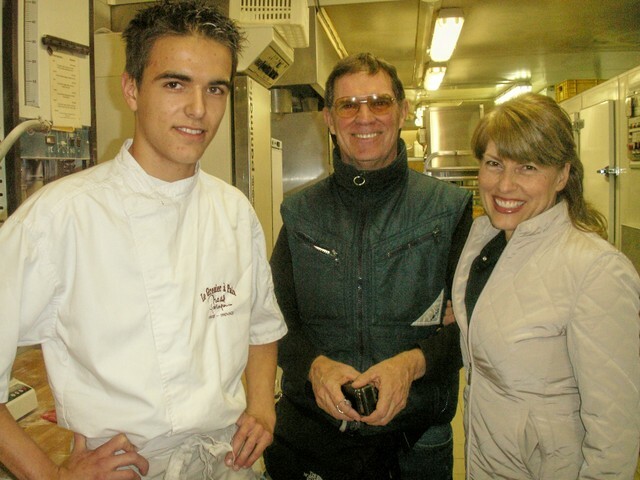 The baker Baptiste is pictured with Doug and Brenda Walton. Baptiste gets up at 4 a.m. most mornings to bake bread. Originally from Rennes, he did his boulangerie training in Chartres. Le Grenier au Pain is an award-winning boulangerie, featuring an exceptional variety of breads, sandwiches and desserts. 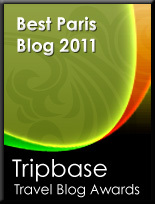 In annual competitions, it consistently ranks among the top boulangeries in France. 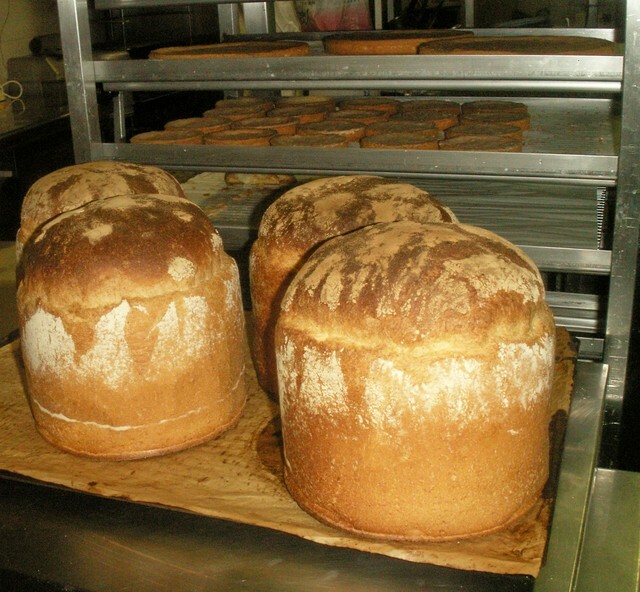 Freshly-baked loaves cool on the racks. 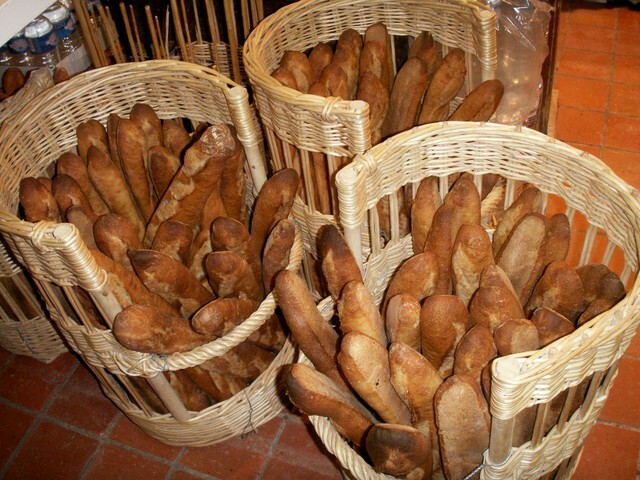 Baskets of delicious baguettes ready for the evening rush! 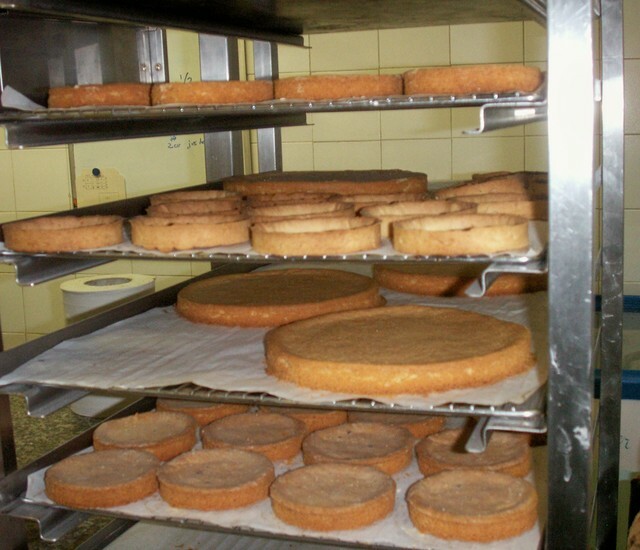 Pastries await delectable fillings and embellishment. Aqua and red patent leather strappy shoes in clouds of white tulle at Chanel, rue Cambon, Paris. The shoes also are available in black patent. Notice the quilted part of the heels, echoing Chanel's traditional quilted shoulderbags with chain straps. Chanel red in windows swathed in white tulle. Primary colours teamed with black. Ed. note: This post was amended on June 18, 2013, to add a watermark to the top two photos, which have been stolen and reproduced without permission many, many times. The races were exciting, but this is the sight that made my heart beat a little faster - the Egyptian actor Omar Sharif, pictured this afternoon in the Winner's Circle at Hippodrome de Longchamp, Paris. I have been a fan ever since he rode that horse in Lawrence of Arabia. Irish jockey Kieron Fallon expertly guided Dylan Thomas to a superb victory today at the Prix de l'Arc de Triomphe at Hippodrome de Longchamp. While Fallon was the toast of Paris today, on Monday he must appear in court in London, charged with fixing horseraces. Already he has been banned from racing for a year in the United Kingdom. Dylan Thomas is trained by Aidan O'Brien, pictured at right waving farewell this evening at Longchamp. 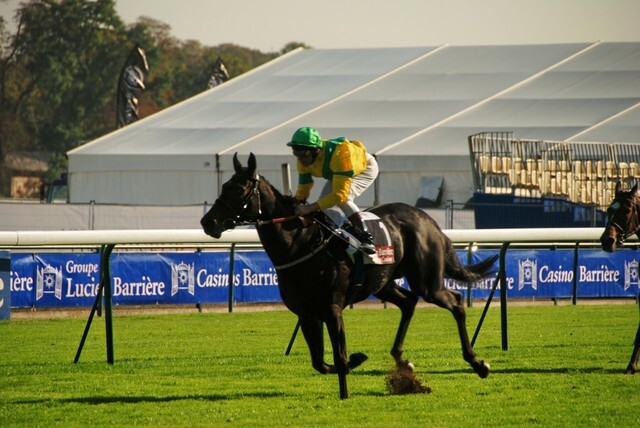 It was O'Brien's first horse to win the Prix de l'Arc de Triomphe. 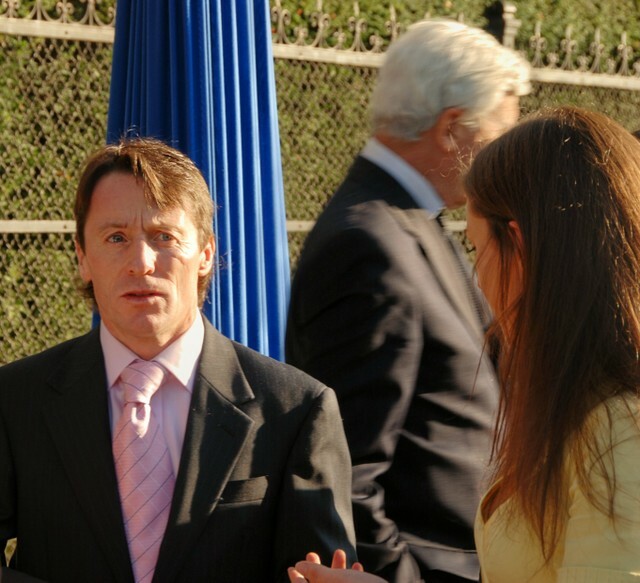 Famed jockey LanFranco Dettori in a quiet moment pre-race on Saturday at Hippodrome de Longchamp, Paris. 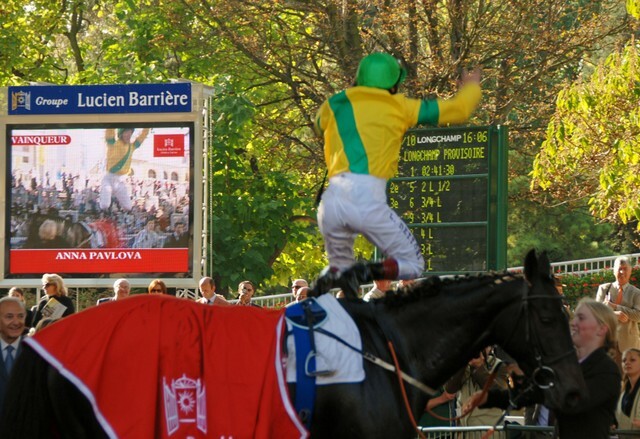 Riding Anna Pavlova, Dettori takes the top prize Saturday in the Prix de Royallieu Hotel Hermitage Barriere de la Baule. Dettori rides Anna Pavlova into the Winner's Circle at Longchamp. 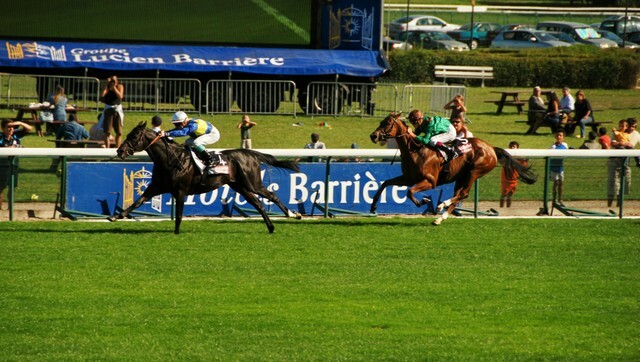 Dettori leaps from his horse in the Winner's Circle (see his face pictured on the screen at left). The Princess Zahra Aga Khan, second from left, with the orange shawl. 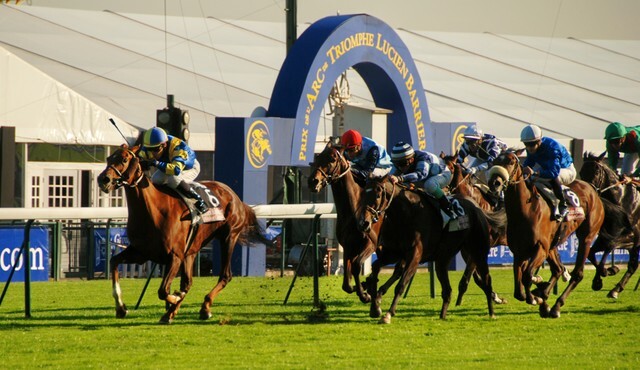 Her horse Mandesha will compete in the Prix de l'Arc de Triomphe on Sunday. Horses head towards the finish line in a close race won by Musical Way, ridden by jockey Ronan Thomas. 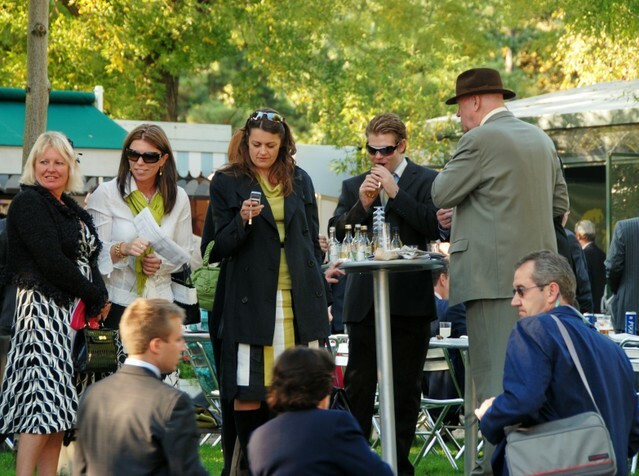 Racegoers enjoy cool refreshments on a warm Saturday afternoon. 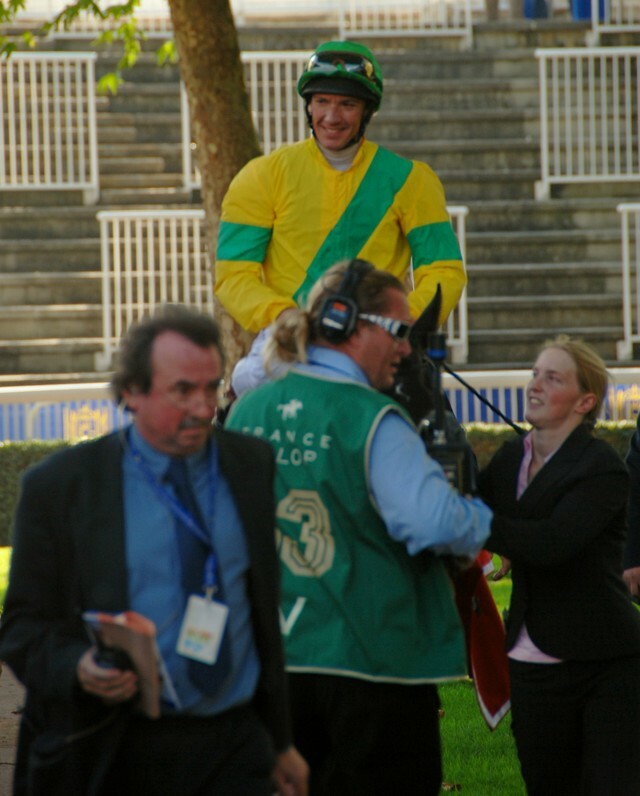 Irish jockey Kieron Fallon, who will ride Dylan Thomas in the Prix de l'Arc de Triomphe Sunday. Fallon goes on trial Monday in London for race-fixing in the United Kingdom.